It’s always there at every big event of one’s life, be it a graduation, a wedding, an anniversary, the birth of a child or even at funerals. There are so many variations of it and most people would have given or received one at any point in their life. It has become so much of a staple and a part of tradition that it becomes a no-brainer gift to one. It’s not really much of a riddle as most would have already guessed it by now, that the aforementioned ‘it’ is none other than a bouquet of flowers. They have become assimilated into our culture so much so that in 2015, Malaysia spent $98.1 million exporting flowers. That made us the 6th country to export the highest dollar value worth of flower bouquets in 2015. Clearly, we are importing an exorbitantly high amount of flowers in order to meet the demand of purchases. Even so, one equation does not add up. Why are people spending that much money on something which does not last forever? Its shelf life is no longer than a week, even with much care being given and they are essentially just a token gift which looks good in pictures and are later tossed aside to fend for its own life. One local startup saw an opportunity in the short life of a bouquet of flowers, and chose to extend it just that extra bit more. Their business premise adds an element that is permanent to a beauty that is temporary, so it becomes a gift that can withstand the test of time. 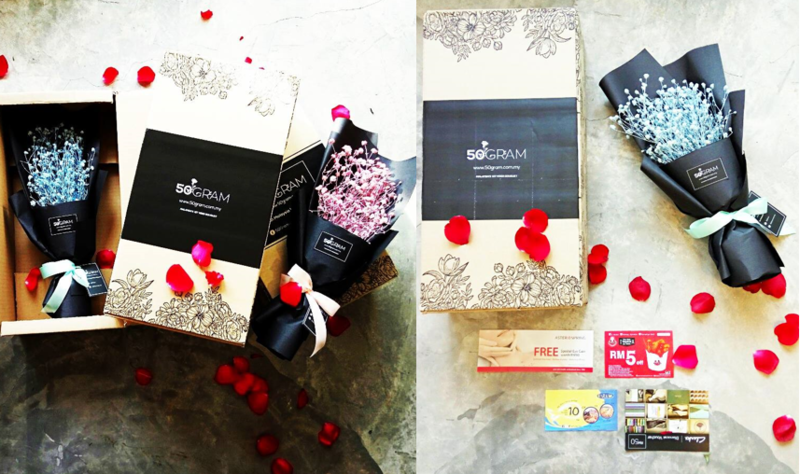 50Gram is a startup which sends beautiful flower arrangements to a recipient but includes a lasting momento as part of the bouquet. This gives them an added edge over other traditional florists in our country and their bouquet offerings. Customers need not have any IT skills either when it comes to the creation of the video as the team handles that for them. Spring said, “Customers have the option to choose between having a video or none. Once they choose their video option, they will have to upload their photos after their checkout,” said Spring. Currently, there are 4 video type options but the team is on a constant approach of updating the list, as stated on site. Next, 50Gram will then process the photos, edit and turn it into a video. They will host the video in a link under the 50Gram website and a QR code will be generated for the video. 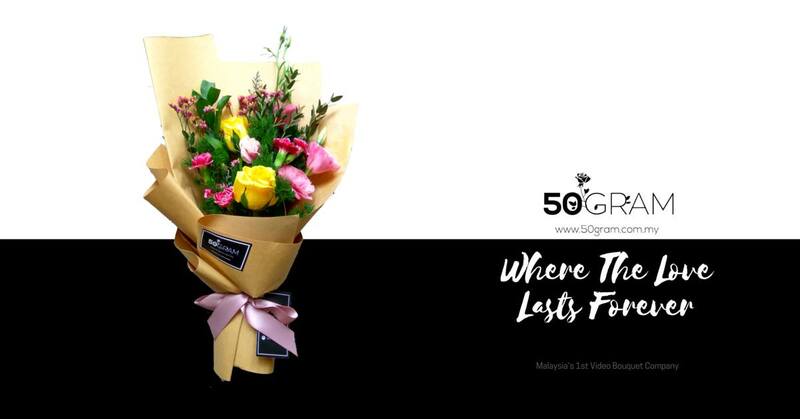 Upon receiving the bouquet of flowers, besides marvelling at the temporary beauty, customers can then scan the QR code with their phone and watch the video which their loved one has sent to them. 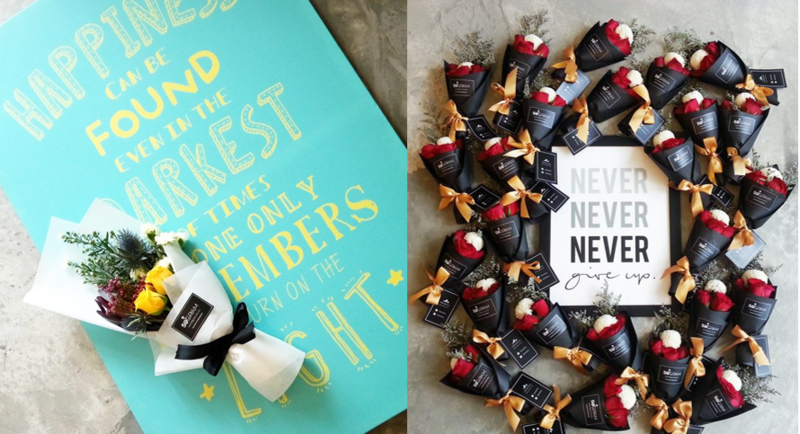 Where flowers fade, memories do not have to, and this floral company leverages on that key point to be able to engage thousands of clients since their humble beginning in January 2016. 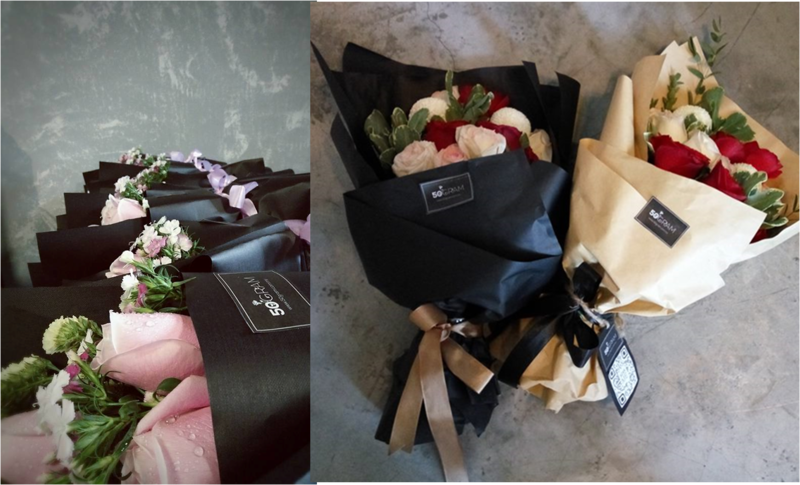 They sell designer bouquets which each has its own unique style and are priced between RM58-RM98 depending on its size. “We have one new design every week and the best seller is always our black wrapping bouquet, as the black colour brings out all of the elegant elements,” Spring shared. 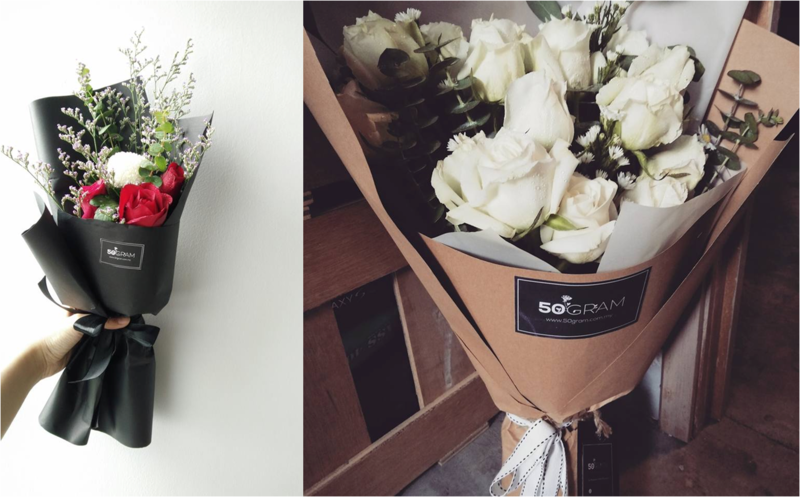 Interestingly enough, 50Gram actually originated as a traditional florist concept. It was founded by Spring and a special person in her life, alongside some of their family members. As the startup grew and evolved, the co-founder could not agree with the evolved business model, which was a sad but inevitable turning point for 50Gram. As such, Spring now solely leads the team to further expand. Spring shared how with their startup, there are many return clients who are satisfied with their products and come back to create more memories. Rightfully so, there’s always going to be an occasion for flowers. “We do not just sell products, it is our service that count, as well as our effort in adding value to the messages dedicated to your loved ones. It is our creativity that brings out the best of simple products, and in short, we are serious and sincere in emphasising the best of our customers to their loved ones,” he said.